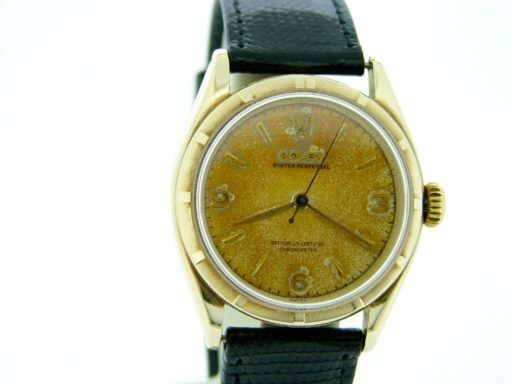 This is a very rare vintage Rolex Semi-Bubbleback from the 1950’s…Definitely a nice blast from the past! It is a gents model 100% genuine Rolex 14K Yellow Gold Oyster Perpetual Ref #6085 that has been fitted with a genuine lizard black Rolex leather strap. 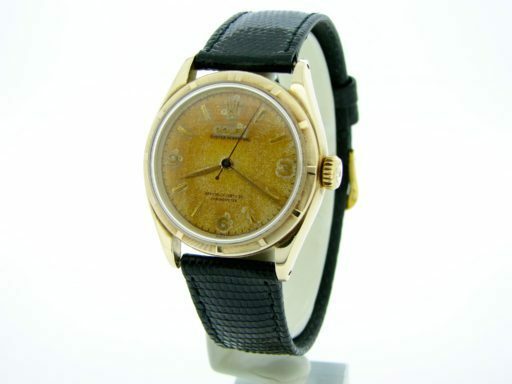 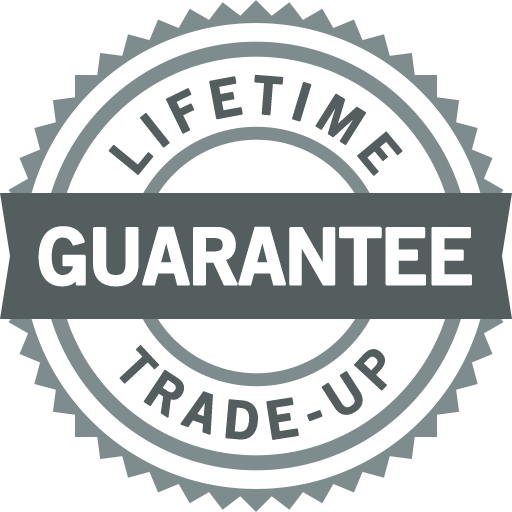 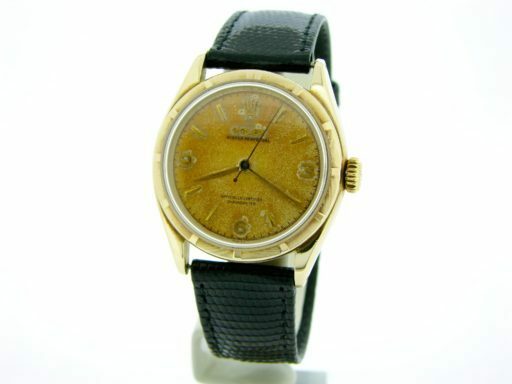 Don’t let this one get away…Buying a genuine vintage solid gold Rolex at this price doesn’t happen often. 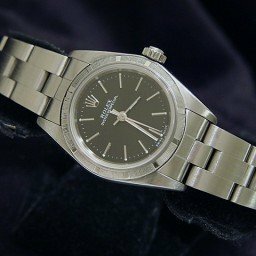 Movement Rolex officially certified chronometer self-winding automatic movement; This is a vintage Rolex and is should not be expected to keep perfect time. 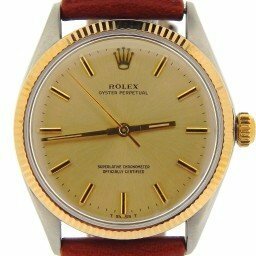 This is a true piece of Rolex history! Dial Original rolex dial is untouched. 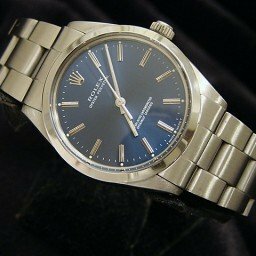 The natural aging of the dial gives this Rolex an amazing look. 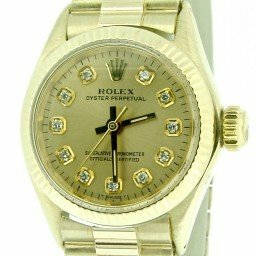 Just look at the pictures! 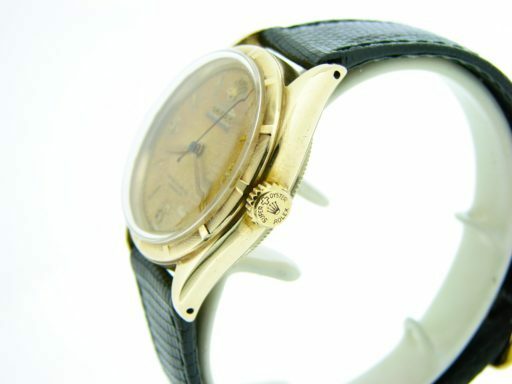 Bezel Rolex solid 14k yellow gold index bezel. 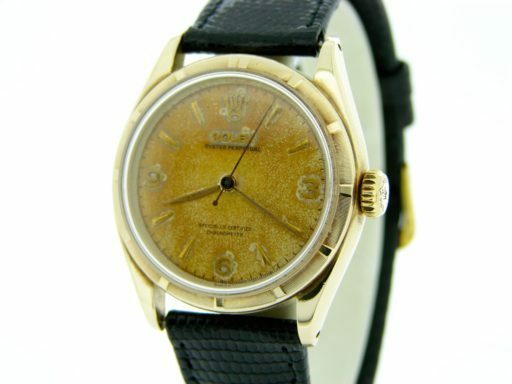 Case Rolex solid 14k yellow gold case is in excellent condition with some light scratches; One tiny ding on inside edge of top lug; The caseback has one deep scratch in the grooves. 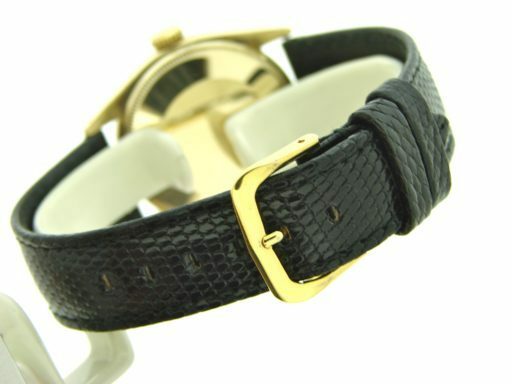 Band Brand new genuine Rolex lizard strap; Black; 18mm (1mm smaller than the lugs); Non-Rolex gold tone buckle.